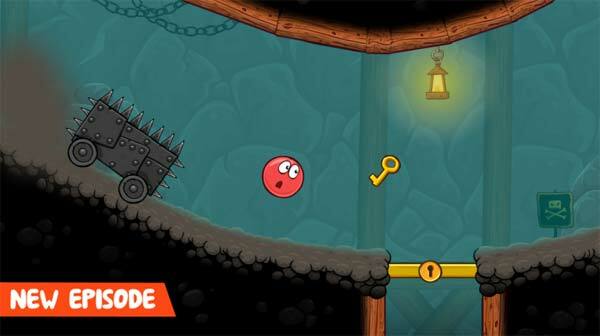 Red Ball 4 is an awesome physics-based arcade game developed by FDG Entertainment GmbH & Co.KG. Evil minions want to squeeze the planet into a square shape, the cute red ball is back and he has to save the world. Control the ball to roll, jump, and bounce through exciting levels full of adventure, make your way through tricky traps and defeat all monsters. The game features 5 volumes and 75 levels. The game is really fun but for somebody it is a bit hard. If you get stuck in the game then check out the video walkthrough for the game. This entry was posted in Android Games, iOS Games, Mobile Games, Walkthrough and tagged Red Ball 4, Red Ball 4 Answers, Red Ball 4 Cheats, Red Ball 4 Gameplay, Red Ball 4 Help, Red Ball 4 Hints, Red Ball 4 Solutions, Red Ball 4 Tutorials, Red Ball 4 Walkthrough by Marvin. Bookmark the permalink.